Have a huge number of videos on your Mac that you want to watch it on your home DVD Player or a TV? Burn them to a DVD using a good DVD burning tool. If you do not have a disc, you can also burn your videos to ISO image files and then convert them to a disc when needed. The article will help you with best ways on how to burn a DVD on a Mac. 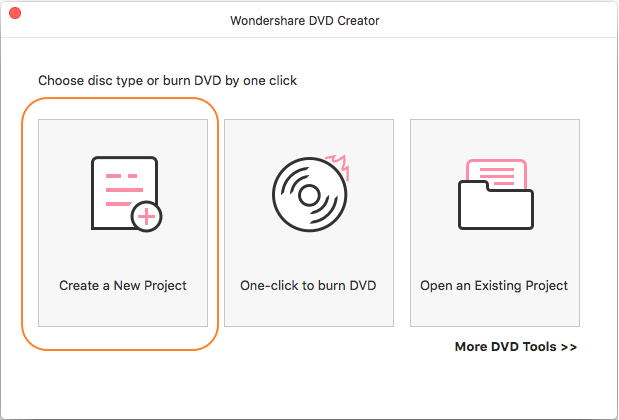 Wondershare DVD Creator for Mac is the best tool to burn DVD Mac. Using the software, you can burn all types of video and picture files to a DVD disc or ISO image file as needed. The program also offers powerful editing functions with its built-in video editor. There are more than 100 static and dynamic templates available for DVD authorizing. 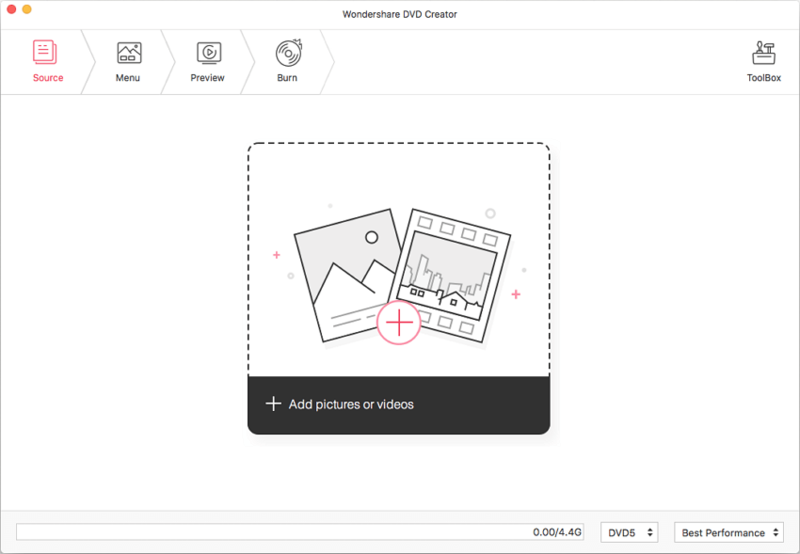 Add background image or music, create chapters, set aspect ratio and edit thumbnails using DVD customization options. The DVD burning speed is high and the real-time preview helps to check the created disc before burning. The Windows version of the software is also available. 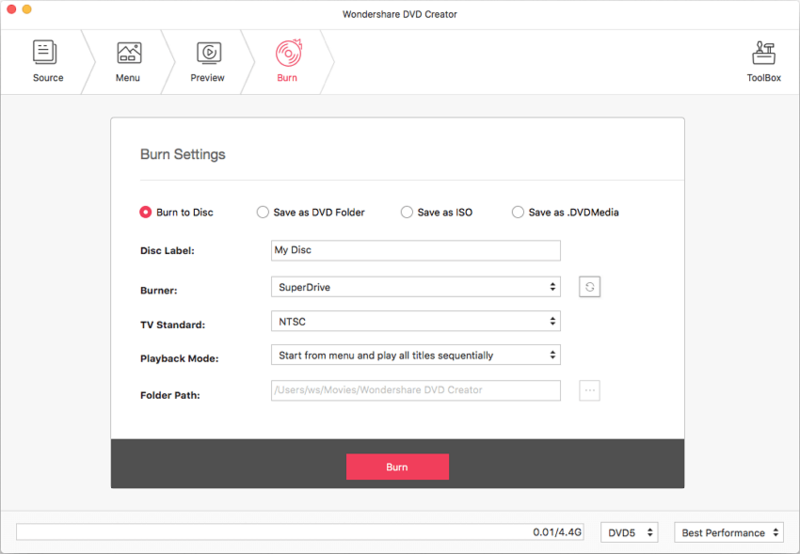 · Burn videos and photos in any format to DVD/ISO/DVD Folder/Blu-ray DVD on Mac. · Additional functions such as ISO to DVD, Data Disc, Video Editor, Slideshow Maker, One-click to Burn DVD Disc, and others to make your DVD burning more interesting. · Customize DVD menu from different aspects like changing background pictures or music, adding text, adjusting aspect ratio, etc. · Offer 100+ free static and dynamic menu templates from Nature, Sport to Movie style. Step 1 Launch Mac DVD burn tool and select to create a new project. 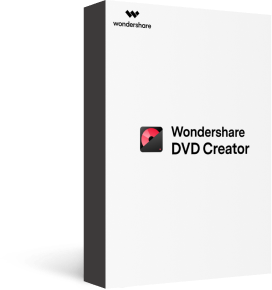 Open Wondershare DVD Creator for Mac after downloading and installing the software on your system. Choose the Create a New Project option. If you have already added videos to the program interface earlier, you can also select the Open an Existing Project option. Click the + icon under the Source tab in the center of the pane to browse and add videos from your Mac. You can also directly drag and drop the files to the interface. All loaded files will be displayed as thumbnail at the left of the interface. 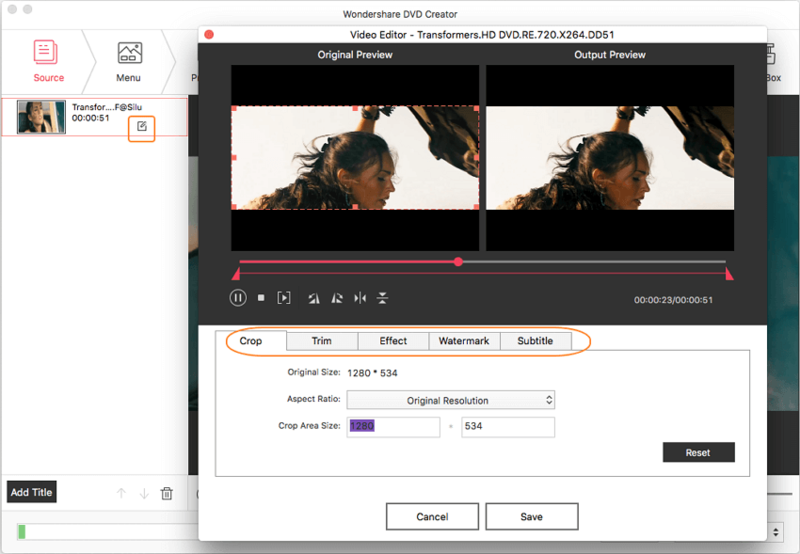 Selected a video and click the pencil like icon to open the Video Editor window, from where you can trim, crop, enhance the video, even add subtitles, effects, and watermarks on it. This step is optional and you can skip it if you want to keep your video original. Move to the Menu tab, a list of available templates can be seen. Choose a template you like from 100+ styles it provided. 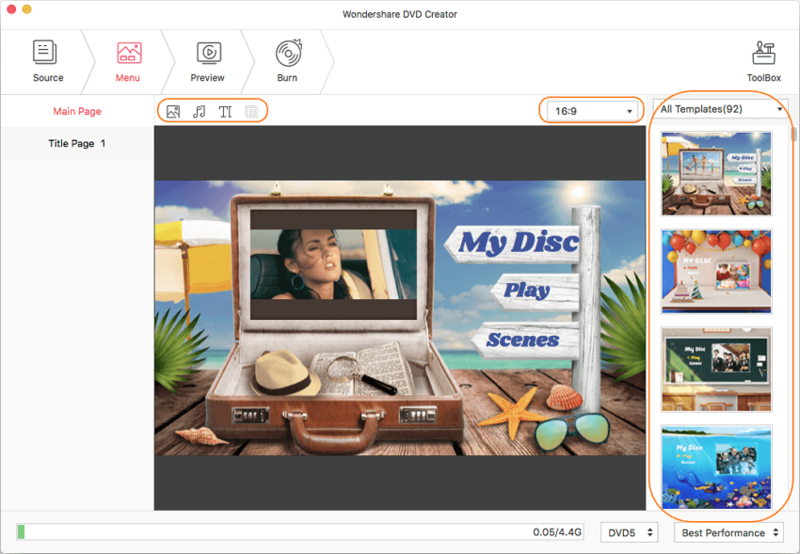 By clicking the icons at the top of the interface, you can further change background image and music, add text, adjust aspect ratio and others to make your video to DVD menu more attractive. Step 4 Preview and burn video DVD Mac. Click the Preview tab and you can check all your creations on the DVD. If you want, you can make changes before burning. Next, go to the Burn tab and choose Burn to Disc option, finish the burn setting such as Disc Label, TV Standard, Burner and more. Finally, click the Burn button to start burning process immediately. As you will, you can also save the video as ISO files or DVD Folder. The built-in OS of the Mac system offers a free DVD burning solution. The process is simple and can be done without installing any third party software. 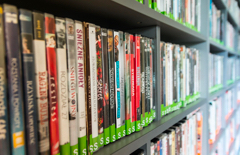 Using the method, you can only burn a CD or a DVD and not a Blu-ray disc as there is no built-in Blu-ray support on Mac systems. You can also convert your files to ISO image files with this method. Step 1: In your Mac’s drive, insert a blank DVD and a window like below will appear. From the Action: select Open Finder and click OK. Step 2: Next, open a new Finder window on your Mac. The blank inserted DVD will be shown on the left-sidebar. Select the files or folders that you want to burn and drag them onto the DVD. Click on the Burn button on the top-right corner. Step 3: A new window like below will appear. At the Disc Name: menu, give the desired name to the DVD and select Burn speed. 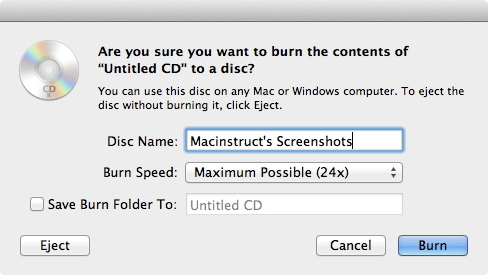 Finally, hit the Burn button and your Mac will start burning your files to DVD. The progress of DVD burning can be monitored at the status window. Once the files are burned successfully, the Finder will mount the disc. You can eject the disc and enjoy watching it on any DVD player, computer or TV. The table below compares the above two methods for file burn Mac OS. 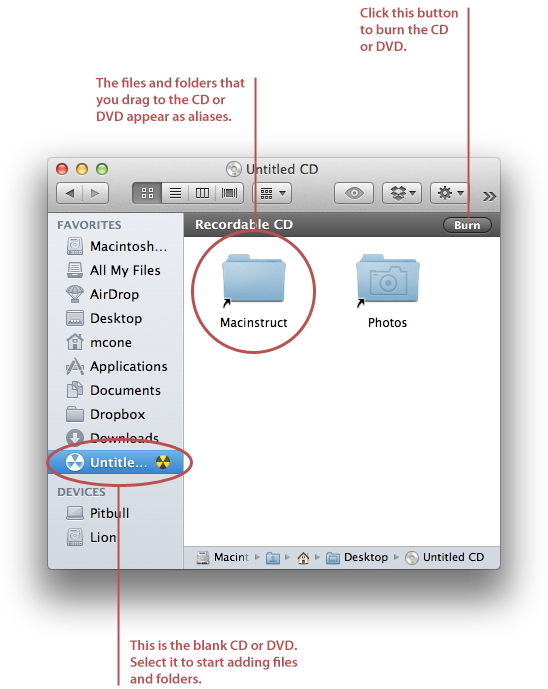 Review the features and select the appropriate solution for burning your files to DVD on Mac. DVD Menu templates Yes, more than 100 DVD menus.